The new 2018 Ford Escape is an athletic and fun compact crossover SUV. Even though the Escape is smaller, it delivers a ton of power and functionality. The powerful 2.5L iVCT I4 engine with intake variable cam timing comes standard on the 2018 Escape. You’ll enjoy the Escape’s 168 horsepower when tackling unique road conditions. Six speed automatic transmission is also a standard feature. Overall, the Escape is a nimble and energetic vehicle. Take the Escape out for a test drive today at Tomball Ford. We are a convenient and friendly Houston auto dealer, closest to the people of Conroe, The Woodlands, and Cypress. The 2018 Ford Escape has an athletic and sporty exterior. Ford’s trademark two bar grille is here, as well as bright LED taillamps. Choose from up to ten colors depending on the model, including the striking Lightning Blue. 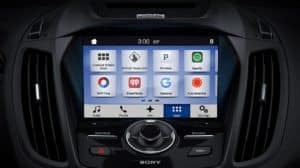 The Ford Escape also has a number of useful security features that will give you excellent peace of mind. 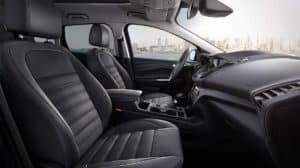 Drive with confidence knowing that every Escape comes standard with brake assist, cabin Safety Canopy airbag system, and tire pressure monitoring alert. The Escape’s interior is simple and understated. There are a few different color schemes to choose from, including the elegant Charcoal Black. The Escape seats five passengers and has plenty of storage compartments. Its standard 60/40 fold-flat rear seats will let you haul more cargo than ever before, and is great for errands around town. 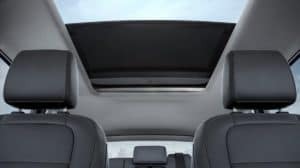 The available panoramic Vista Roof is a generous size, so it’ll give your passengers a fantastic view of the road. The Escape’s navigation interface is easy to use and straightforward, as are its driver controls. There are some terrific and affordable trims available to upgrade the new 2018 Ford Escape. The Ford Escape S starts at only $23,850. Besides that great standard I4 engine, the EscapeS comes with AdvanceTrac with Roll Stability Control to improve the vehicle’s safety and performance, and even a convenient rear view camera. The EscapeSE has an enhanced 1.5L EcoBoost engine with auto start-stop technology. Both of these features work together to improve the Escape SE’s overall fuel efficiency. On your test drive, check out the Reverse Sensing System on the SEL model. It emits a sound when drivers approach an object while backing up. SYNC 3 navigation and entertainment is also a handy upgrade on the Escape SEL. SYNC 3 is even voice-activated so your hands don’t have to leave the steering wheel. The Titanium trim is the finest Escape available. The Titanium Escape includes a 2.0L Twin Scroll EcoBoost engine, push-button start, and luxurious leather-trimmed front seats. 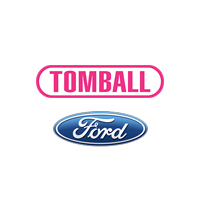 Tomball is the Houston area’s premier Ford dealership. We know you have lots of options when purchasing a new or used car. That’s why are proud to offer top notch customer service and financing options to our customers. Stop by Tomball Ford’s sales department today for a look at the fantastic new 2018 Ford Escape. We know you’ll be pleased with our commitment to customer satisfaction.